Earlier today we revealed that Shin'en Multimedia is bringing Art of Balance to the Wii U eShop, with a target release window of Q2 — before the end of June. It's a title that first appeared on WiiWare, before there was an updated version on the 3DS titled Art of Balance: TOUCH. This third release continues that iterative approach, adding new modes and features to the content seen previously; Shin'en Multimedia hopes that the nature of the puzzles, along with online / local multiplayer and all-new features, will tempt veterans and newcomers alike. There's certainly potential for multiplayer and online leaderboards to freshen up the experience, while the company's reputation for pushing attractive visuals on Nintendo won't do any harm. It also establishes the "Art of Balance" franchise as one of Shin'en's go-to brands, joining other multi-entry series' such as Jett Rocket, FAST and the Nano shooters. 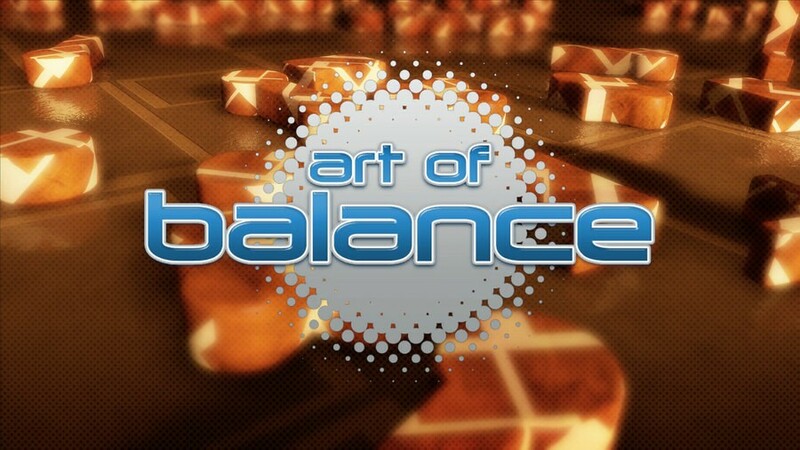 We've had a chat with Shin'en Multimedia's Manfred Linzner to learn more about Art of Balance on Wii U, including its various multiplayer modes and why it should be worth experiencing once again on the home console. NL: First of all, for those that don't know you, can you introduce yourself to our readers? Manfred Linzner: Hi, I'm Manfred, CEO of Shin'en. Beside that I currently work as lead programmer on Art of Balance and FAST Racing Neo for Wii U.
NL: As a studio Shin'en Multimedia is establishing some key brands, such as the Nano, Jett Rocket and FAST series. At what stage did you decide to bring Art of Balance across to the Wii U? ML: After Nano Assault Neo was quite a hit for us on eShop we decided to bring also Art of Balance back to the big TV. It's simply a game we want to play ourselves with our families in HD. 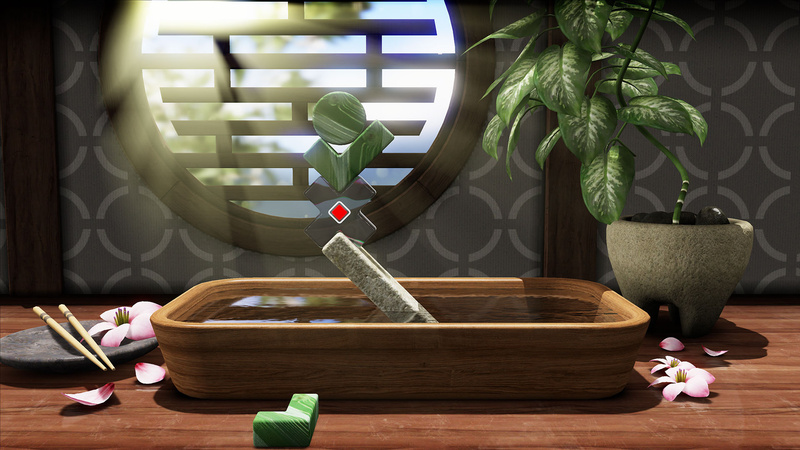 For "Art of Balance TOUCH" on 3DS we implemented touch controls. Now with the Wii U Gamepad we were able to take this to a new level. It was simply a natural fit. Also with the Wii U HD capabilities we were now able to give the game an almost photo real look that is just beautiful. 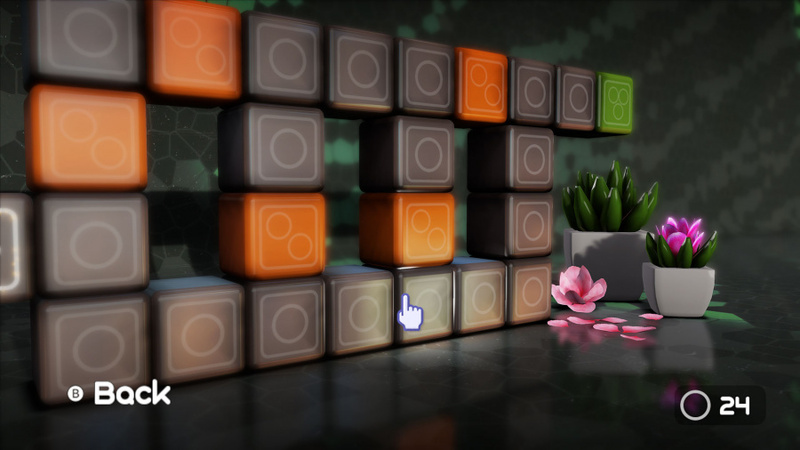 NL: Do you feel this franchise will fill a gap in the eShop market, as a physics puzzle game? ML: I don't know if people really look out for another puzzle game, but my experience is that anybody who tested the game so far couldn't stop playing. Its simply so much fun and the lush HD look draws you really in. 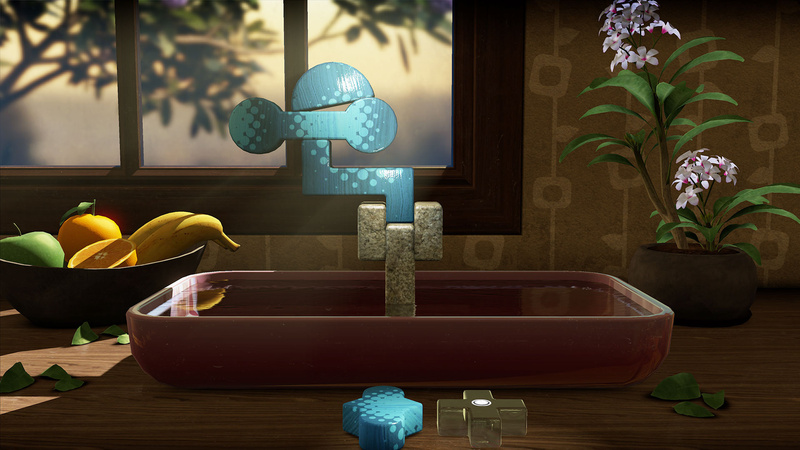 We think this is a game that must be experienced first to be fully appreciated. Therefore we will try to release a demo shortly after launch. NL: Art of Balance TOUCH! took the levels of the WiiWare original and added more content — can you confirm whether this Wii U entry has all-new levels only, or a mixture of old and new? ML: "Art of Balance TOUCH!" had 200 levels. All these levels are again playable on Wii U. This alone gives you plenty of hours of gameplay. Even if you played them on 3DS they will feel like new on Wii U, simply due to the complete overhaul of the game's look and feel. On top of that we added new game modes, 5 player support, online play and leaderboards. We think this is a great package for newcomers or previous fans of the games. NL: Your announcement earlier today confirmed analogue, touch and Wii Remote controls, essentially combining the control schemes of past entries into one platform. That seems like a natural progression, and did you immediately see this potential when you first encountered the Wii U? ML: Yes, we thought right from the beginning that the Wii U would be a perfect platform for AoB. We think players will be very satisfied that they can play the game the way they want. Even everyone here at Shin'en has their own preference how to play the game. NL: You've confirmed off-TV support. Will both the touch and analogue control schemes be options in this mode? Also, are you utilising the camera to allow pointer controls on the GamePad only, rather like the pointer support for Wii Mode on the controller? ML: You can change between touch and analogue or even Wii Remote at any time. You don't even have to change any settings. We don't use the camera+pointer, as we don't think its a good working control option. NL: You're supporting a variety of online and local multiplayer modes; can you outline the various options? ML: First of all we tried to make multiplayer as easy as possible. For instance, if a kid plays a level then his dad can join in any time to help out in a difficult situation, or his mom and his two brothers can join. Up to five people can play the game simultaneously and drop in/out any time. We think this is a great family feature. Beside cooperative multiplayer there is the "Versus" mode. There you have two teams which are split between up to 5 people. Which teams finishes the puzzle first has won the round. Another game mode is "Tower Tumble" where up to five players drop a stone one after another. The player that will crash the tower has lost, and the others will get a +1 bonus. Very simple and very fun. On top of these modes you can play against friends or strangers online. Its very much like the versus mode. Like in the other modes, up to five people can join the game locally. So you could even play five against five people online, or of course simply a one to one match. The orignal 3DS "Endurance" mode also has online leaderboards. This should give you a big boost to play this mode for quite some time. We try to move from "Wow" to "Beautiful". With a certain tech you can "Wow" some people, but "Beauty" is loved by everyone. With AoB we think people will love the beauty of the soft lighting, soft shadows and stylish locations. NL: How does the team mechanic work? Do multiple players share one set of blocks, for example, or does each individual have a puzzle with the results then combined for a team score? ML: In "Versus" mode you have a splitscreen for each team with its own set of stones. In "Arcade" mode anyone that joins can do everything you can do and works on the same set of stones. So if you have a hard time to solve a challenge you can simply ask a fried to help out because. In "Tower Tumble" you have two teams, each with their own set of stones. NL: So the online multiplayer is between two consoles, are their limits on the teams, for example do they have to be the same size? ML: There are no limits. So for instance you can play 1:1 or 3:1 or even 5:5. NL: Will the online leaderboards be region-limited or region-free? ML: We want them region free, but we are not 100% sure if this is technically possible, but the chances are good. We also want the game to be released in Japan, because people loved the Japanese 3DS version. NL: Will these leaderboards cover any additional modes beyond Endurance? ML: Leaderboards only make sense in certain modes. We're currently trying out some ideas. NL: Can you explain how the 240 frames per second performance allows you to deliver improved physics? ML: In this game we simply have so much CPU power available that we can use it for super stable physics. 240fps means that in one second the whole game physics are updated 240 times. In comparison, on 3DS we often only had the physics running in 30fps. This still worked but it needed a few hacks and made the animation a bit rough at times. Now we have super smooth animations. NL: As a studio you've often been praised for delivering impressive visuals on any given hardware. What aspects of this title's visuals would you like to highlight, and is this a game that you believe will wow gamers? ML: We try to move from "Wow" to "Beautiful". With a certain tech you can "Wow" some people, but "Beauty" is loved by everyone. With AoB we think people will love the beauty of the soft lighting, soft shadows and stylish locations. Of course there is a lot of trickery like reflections, refractions, physics based water etc! NL: This is another title that targets Nintendo hardware. With its various control schemes and its means of utilising the hardware, will this game be a Wii U exclusive? ML: Currently AoB is only planned for Wii U but in 2013 we developed our new 'Next Gen' engine and now could also support other platforms more easily. NL: How would you describe your experiences with the Wii U as a development platform, especially as you're now up to three confirmed games (released and in development)? ML: The hardware is very easy to work with. The development environment is constantly improving. We think the best games are yet to come for this great console. NL: Do you feel your relationship with Nintendo has improved with your accumulation of releases, and how would you summarise your dealings with the company over the past 12 months? ML: In can't go into detail but Nintendo has been very active to offer help where needed. In general we have a very good relationship with them. NL: Despite the negative press around the Wii U and its lowered sales projections, you continue to support the platform. Are you confident in the long-term prospects of the system, and secondly are you positive about the Wii U eShop's future role for your business and fellow download-only developers? ML: "Nano Assault Neo" for Wii U has performed very well for us and we hope our upcoming games to perform similar. In the end I think it's real simple. Great games mean console sales. Nintendo is with no doubt one of the best at creating great games. NL: Are the Wii U and 3DS eShop stores that you would recommend to other Indie / download-only developers? ML: If you want to release quality games to a quality aware crowd then the eShops are the right place. NL: Are your current development projects all focused on Nintendo hardware, or are you actively looking at other platforms with your new engine? ML: We have always looked into other platforms in our past. With our new tech we can now easily support also other platforms. So we are actively thinking about that topic. NL: Do you have any new 3DS projects that you can talk about, now that Jett Rocket 2 has long since been released? ML: We currently concentrate on Wii U.
NL: Of course, we have to ask about FAST Racing NEO. Can you tell us more about it? Any features or plans around it that you'd like to share? ML: The game's development is very smooth. A lot of tech is also shared between AoB and FRN. We hope to be able to show first media soon. NL: Do you have a release window for FAST Racing NEO as yet? ML: There is no release window yet, but we work very hard on it. We want to make sure it's getting perfect. NL: Finally, what would you like to say to our readers as a pitch for the upcoming Art of Balance game? ML: Simply check it out. We think you will love it! We'd like to thank Manfred Linzner for his time. I think I want Fast Racing Neo badly! This looks amazing can't wait to buy! Ok now that this is out of the bag: I REALLY CANT WAIT TO SEE THE ALL NEW FAST LEAGUE RACING GAME! That's right , in all Caps so you know I'm being really Shiryus about it. 240fps is crazy. I can't wait for this. Hopefully they can make Fast Racing Neo at least 60fps. That would awesome! @Evenmoresteven The game doesn't render at 240fps, it'll run at 60fps. The 240fps remark is in regards only to the physics calculations, the only visual difference will be that the physics appear more accurate since they are updated 8x as often as previous versions of the game. Takes a lot of CPU power to pull that off. 240fps due to having so much CPU power avalible. What about people saying the CPU is badly underpowered!? I suspect they are just repeating what they hear others saying. Maybe older cpu's can often be tweaked and tuned more than newer ones? So many promising games coming to the eShop this year. I miss the 2013 drought. I love Shin'en. Nano Assault Neo is great, Art of Balance looks great and I get the feeling that FAST Racing Neo could be the best of all. Nintendo should really sign them up and give them a shedload of money to make a 1st party franchise before they move to other platforms. This does look lovely and if it's sharing assets with FAST Racing Neo then that will hopefully look just as gorgeous! Nice interview, I do like Shin'en they always seem respectful of the fan base and so calm and professional about their growing popularity and favour among Nintendo fans. @PAAppleyard From what I understand, the Wii U's CPU is slightly underpowered compared to previous generation consoles, but that is only because it was designed to allow developers to use the much more powerful GPU and CPU together to spread the processing load. In the past, developers complained about the CPU because they were doing lazy ports from the Xbox 360, which technically has a slightly faster CPU, but a much slower GPU than the Wii U. Since the games were lazy ports, the developers didn't bother to spread the load to the Wii U's GPU. This meant that all the processing work had to be done by the Wii U's CPU while the GPU was all but ignored, and the games suffered for it. Shin'en are obviously much more savvy craftsmen with the Wii U than most other developers, so they are using the hardware properly and obviously getting very good results, even when porting games. Much respect to the developers that put in the effort to understand the hardware they are developing for. All I can say is, that game's going to look gooood. @BrightBeing If they were using the 360 properly it wouldn't be a problem. Problem is they want do a quick and dirty port to the PS3 also so they use one core at 3.2ghz (And ignore the SPU's on the PS3 also). That is if the Wii U can use all 3 cores it has. (If it can only use 2 it is different). But the slight drop in clockspeed should be offset by the fact it is more modern so it can do more in less cycles. Plus there is other stuff nobody (Who is not under an NDA) knows what it does. I have Fast Racing on the Wii. I didn't expect Shin'en to be able to produce such a good looking smooth and fast game. I think Shin'en is starting to become my favorite indie dev! "Also, are you utilising the camera to allow pointer controls on the GamePad...?" I hate to nitpick, but...the camera? The GamePad has a sensor bar built into it - one infrared light on each side of the camera lens. The camera isn't sensing the Remote, the Remote is sensing the infrared lights. Anyway, good interview. Really looking forward to this and Fast Racing Neo. 240 fps? O___o I didn't think there was anything better than 60 fps right now. The display will be 60 fps but the physics which the player interacts with will be updating at a crazy crazy pace so the interaction should be ridiculously convincing. @AJWolfTill Well, that's good to know! I was pretty interested in the 3DS version, but forgot to pick it up. I honestly thought it was a 1st party offering. I'll probably be picking this up. The muliplayer modes sound quite fun. Might pick it up for that if the price is right. Shin'en are just a great great developer. Very nice. Great news! Sounds like a quality, family title that will help add value to the Wii U. Can't wait to play AoB in HD. Ooooh! I'm looking forward to this game especially with the online modes. I hope they won't release it on the PS Vita, PS3/PS4 and Xbox 360/Xbox One because they will be saying stuff like, "Don't get the Wii U version, the PS4 version is much more superior!" which I'm really sick of. Dear Shin'en please make an AR mode for this game on 3DS or for a 3DS sequel/this Wii U version...if Wii U is capable of Augmented Reality. Really like this game! It is a little too late in the process maybe, but in the future it would be nice with a possibility to create your own puzzles. One of my favorites on 3DS. Doing the preview of Jett Rocket was an experience. These guys really know how to program and they have great design sense. I'm very happy to support their stuff on Wii U because they're such a stand-out team. @PAAppleyard Well, these are people talking about stuff they dont understand. If you as a developer are creative, you can make pretty much everything you want out of any given hardware set. Console power doesnt really matter that much. Sure, the PS4s super mega hyper powered hardware makes the games look shiny, but look at, say, 3D World or Mario Kart 8 and tell me, what could make them more beatiful ? People just need to understand that artstyle is so much more important than technical shenanigans. Your game can look breathtaking without trillion polygon models if you know what you are doing. Its a simple as that. @Omarsonic9 Just remember, this is NOT referring to the screen refresh rate, this is mainly referrng to the physics calculation. The picture will still be rendered with 60fps tops. Anything above that isnt even that seeable. Nintendo, please give Shin'en and Retro a hug from me. Those are 2 top-notch developers right there! @JSuede FAST Racing NEO will be the first game to use 4K textures. They obiously won`t be displayed in 4K, but they are taking 4K textures, reducing them down to 1080p, but still keeping the massive detail that 4K gives, It has already been confirmed by them, that it will run at a constant 60FPS.